Dwarves live in city-states built on top of fortress-mines carved deep into the stone of their mountain-pass, peak and plateau homes. As a result they control much of the world's trade-routes and are the most cosmopolitan, and cultured race. They turn out excellent warriors, specialising in martial arts and unarmed combat, and surpassing craftsmen. They are an introspective, contemplative race, in search of hidden treasures both material and spiritual. It is no coincidence the dwarven name for their own people, dzuun, is so similar to the commonly-accepted name for the continent, Zenth. Both can be traced back to the archaic root-word dzoonth, meaning 'This Earth'. The name dzuun is a grammatical statement-form of the word, meaning 'We Are Of This Earth'. Ranging between four and five feet tall, dwarves are adapted to their high-altitude homelands. Their stocky limbs prevent heat loss in the alpine cold, and deep, barrel chests allow them to breath great lungfuls of the thin air. Both genders grow thick, wooly hair on their arms, legs and scalps as additional protection, though displaying hair is widely seen as a social faux-pas, so long sleeves, trouser legs and skirts are the rule, and scalps are almost universally shaved. Beards are a frequent exception to this rule, and a long, intricately knotted and braided beard is seen as both comely and fearsome on a male in most city-states. Beyond facial hair, there is no difference in the range of stature or capability between men and women. Their skin is thick, resistant to chill and abrasion on rocky surfaces, and tends to come in varying shades of leathery brown; as dark as chocolate in the north, ranging through ochre and tawny orange-brown in the midlands to buff or tan in the south. Dwarves are renowned for their physical toughness, tolerance of hardship and stamina, and their thick, stubby fingers are more dexterous than they appear. Low centre of gravity and broad feet and palms give them the balance and sure-footedness of a mountain goat, a vital survival trait in their precipitous homelands. An innately spiritual people, dwarves are seen by other races as being calm and unflappable, rarely prone to fear, confusion or mental influence. They have a clarity of thought that is often compared to a still mountain pool. 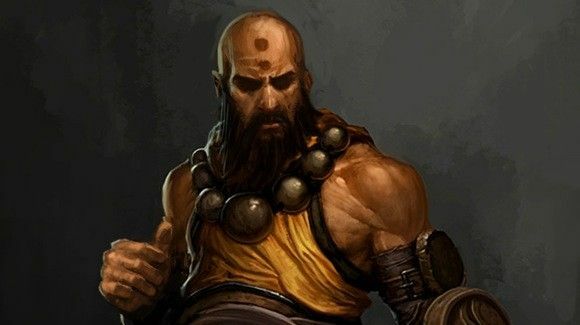 Masters of their martial arts are capable of feats of battle and deed which seem suspiciously like magic to sorcerers. Dwarves are widely seen as a contemplative, introspective people, but it would be truer to say they focus intently on whatever is the subject of their attentions. If that is the self and the mind, they appear deeply meditative and inward-turning; if it is the Universe, they can seem distant and distracted by the immensity of it; if it is the space between the soul and the heavens, the world of Zenth, then dwarves become very aware, conscious of the physical and social environment. Their ability to see many sides of a problem and imagine the consequences gives them a justly-deserved reputation for wisdom. While not prone to mirth, dwarves are a joyful people. A task complete, a piece of work finished, a hard job done well lighten their hearts and bolster their spirits. Everything a dwarf strives for is done with a gladness that can, on occasion, seem like rosy-tinted glasses to other races. Even when struggling through mud and pain, a dwarf will have a restrained optimism that can get on their companion's nerves. Perfection is a paradoxical subject with dwarves. Common wisdom is that only the Universe is perfect, and to claim to be or create something flawless is the height of hubris - and yet the pursuit of personal or professional perfection is the noblest of goals. To avoid accusations of this pride, dwarven crafters include a deliberate imperfection in their work - a loose thread in a robe, a minute chip on a gemstone, a grain of sand in a meal, a blot on a manuscript. To create the smallest, best-hidden flaw that can still be proved to exist in something is an art in itself. One of the most famous cases is the architect Raanto, who, when challenged that the monastery he had built was arrogantly perfect, modestly replied that one of the building's ten million bricks had been put in upside down. Dwarven city-states have widely different forms of government. Some are hereditary monarchies, others governed by a council of craftmasters or merchants. Though the monks are revered and consulted on many matters, they hold little political influence in most cities (but there are exceptions). Dwarven militaries are comprised of warrior-monks, trained and maintained by the monasteries. In times of exceptional strife, a volunteer levy is raised. Dwarves drink, but their hearty metabolisms and natural clear-headedness means that alcohol has little effect on them. There is a taboo against shedding blood. For this reason, most dwarves are vegetarians, feasting on hearty mountain potatoes, quinoa, squashes, avocadoes and succulent alpine flower-bulbs. Dwarven healers must either go ritual purification when performing medical procedures that require cutting, amputation or bloodletting, or take an oath not to do such; for this reason, elven, orcish and especially goblin healers often find high demand in dwarven cities. Dwarven warriors fight with blunt weapons: hammers, maces, bare hands or dorjes in order to reduce the risk of shedding blood, which would entail a similar obligation of purification. Some claim that there is an exception for ranged weapons, because it is not the dwarf shedding blood but the projectile, though this is considered sophistry by hard-line adherents of the taboo. When they do use ranged weapons, their short, relatively inflexible limbs mean crossbows are preferred. Way of the Tenfold Avalanche Tread: A hard, kick-focused art, specialising in 'ground and pound' attacks, tripping and beating opponents while prone. Masters can create small tremors or landslides with their stamps. Way of the Implacable Glacier Heart: A soft, endurance-based technique that teaches practitioners to absorb and flow with blows, while wearing enemies down with simple, relentless attacks. Masters can infuse themselves with an aura of cold. Way of the Shifting River Pebble: A hard, mobility-centric art that teaches warriors to sidestep and manoeuvre around lesser enemies to focus on their goal with maximum force: escape, an item or specific foe. With their strength and speed, elves make formidable River Pebble fighters. Masters of this art move like quicksilver, attacks seeming to glance off them. Way of the Closing Midday Shadow: A soft, duelling style that concentrates on studying one opponent and mirroring their moves, working up a rhythm that defeats their attacks and exposes openings. Masters have been known to strike with their shadows, flanking an enemy by themselves! Dwarven cities are studies in stillness and motion. Their architecture is rectangular - never square - usually two leveled, with near-vertical walls and pointed roofs to allow snow to slip off. Windows are small, with thick panes of coloured glass to let in light but retain heat. It used to be widely thought that sitting on the carpeted floor was rude, but increasingly dwarves are adopting this elven habit, and furniture such as chairs, stools and meditation platforms are becoming less ubiquitous. Every mountain city is riddled with tunnels, mines, strongholds and meditation chambers in the stone beneath it. Dwarves mine for metals and gems, quarry materials for building, seek out joormas in the deep grottoes and caves, and use the below-ground for storage and refuge. Cities built on the foothills and lowlands tend to be smaller, and have less substructure.In the far south, there are fewer above-ground structures in the cities. In the face of weather so brutal that even they quail before it, razor blizzards and rending winds, dwarves retreat to a more fully subterranean way of life. While their houses and halls are as sturdy as the mountains themselves, there is never a lack of energy. It is common for every building to have its roof lined with ribbons and flags inscribed with prayers, always fluttering in the breeze. Prayer wind-chimes sway and sing, and enormous waterwheels are covered in holy writing, so that they create both useful energy to power mills, bellows and pumps and sacred repetitions. Dwarves see machinery like this as similar to the mechanism of the universe, with its turning sun, moon and planets. Being a naturally alpine race, dwarves have long held the high ground in Zenth. Long distance trade, empire-building and communication is dependent on the mountain passes they control, and they are not afraid to leverage this strategic advantage to maintain their strength and wealth. Thars, the cities outsiders are most familiar with often have a series of massive gates spanning the river or road they control, serving both a psychological and defensive purpose. And yet they are more cosmopolitan than the heart of the Great Basin: in a mountain passage-city you will always find a stream of elven caravans from all over Zenth, orcish envoys and craftsmen selling their wares and seeking training from dwarven experts, enclaves of goblin workers and sages (and assassin cult cells keeping an eye on all the comings and goings), and even peaceful copses of trees for the rare visiting dryads. Dwarven marketplaces are the most vibrant; their taverns and debate halls filled with the clamour of five (or fifty!) languages; their libraries and shrines the most diverse. In the beginning before beginnings, the Universe was Perfect, whole and absolute. But what is Perfection without Imperfection to contrast it? Perfection alone is indistinguishable from nonexistence. Thus, in its Perfection, the Universe gave rise to the dwarves, and placed them atop the high mountains, where they would be close enough to see the Universe, to hear its mind, and have firm stone under their feet. Next the universe created elves, and it placed them on the slippery sands of the desert, and they had to dance on order to keep their balance, and so became fleet of foot and always moving, never finding stability. More imperfect still, the Universe gave rise to the orcs, but they were placed in the soils of the low lands and began to sink. In desperation, the orcs reached out and scrabbled at the soil to pull themselves out, and so became greedy and clutching. Goblins came to rest on wet, swampy ground, and quickly sank out of sight even fast than the orcs, and were thus always a sly and hidden people with no love of truth. The dryads were placed beneath the boughs of great trees, which shaded them and kept them from seeing the Universe above. Without its light they became bitter and angry, cruel and bloodthirsty. Last and most imperfect of all, the Universe made humans. They were do malformed and wretched that they crawled away into caves to hide themselves from the Universe's sight, and so perished, forgotten in the dark. And thus it is learned that where you stand determines your fate as much as who you are. Long double vowels common, never at beginning or end. No H, except as an unwritten sound when a word begins with a double vowel, depicted as an apostrophe. e.g. : 'Aardim is pronounced Haardrim. Initial Z always preceded by D.
Terminal E is pronounced A, as in 'hay'. Bydraa: A joorma in the form of a safe haven; a hidden valley, refuge or sanctuary. Dorje: A 'thunderbolt diamond', a kind of weapon or holy wand. It resembles a small dumbell, with a handle and round or conical knob that emerges on either side of the holder's fist. Similar to brass knuckles, it adds weight and hardness to hand-blows. Joorma: 'Hidden treasures'. Something that enriches an individual and society, materially or spiritually. A vein of gold discovered by a miner is a joorma, as is the realisation a monk comes to while meditating under a waterfall. Many dwarves believe that joormas were placed in the world by the Universe, or the great wise monks of ancient days, to be found when needed. Some are simple, while others are locked inside riddles or puzzles. Monasteries sometimes hoard joormas until they think the world is ready to embrace such secret wisdom. Sul: A prefix meaning 'isolated peak'. A city that is not directly built into a pass or trade route. e.g., Sul Dzaaristar, the dwarven name for the Splendid City. Thar: A prefix meaning 'passageway'. A city built on a pass or trade route. Vaal: A prefix meaning 'fortress'. A city that faces many enemies and so has strong defenses, or is home to a powerful warrior-monastery.